Former Wolves star Kevin Garnett lists the reasons why he thinks the Wolves should start Rose at point guard over Jeff Teague or Tyus Jones. *There is no shortage of opinions about this year’s Timberwolves, and some of the hottest of the hot takes involve some variation of the CLEVER “Timberbulls” joke about how many former Chicago players are on Tom Thibodeau’s roster. At least mixed in with that recurring joke, we get some substance in the case of Brandon Robinson, who goes by “Scoop B” and writes for a site of the same name. 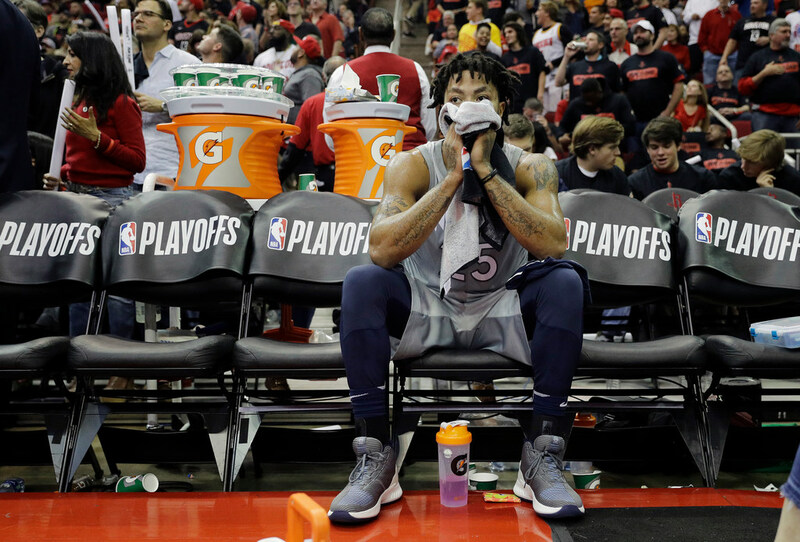 He checked in recently with Kevin Garnett, asking KG this question: Could Derrick Rose, the former NBA MVP signed to a one-year deal in the offseason after a strong showing in the playoffs last season for the Wolves, be Minnesota’s starting point guard this year? While that seems pretty unlikely given Jeff Teague is entrenched as the starter and Rose has been brought in to bolster the bench — where his style and skill set fit better — Garnett likes the idea of starting Rose. I might argue that a third point guard — Tyus Jones — is actually best suited to play with the other starters, but that’s just me. Unlike Rose and Garnett, I’m not a former league MVP. Then again, I also didn’t have a falling out with the Wolves like Garnett did. *Speaking of the Timberwolves, SI.com once again did a ranking of the top 100 players in the NBA. And like last season, all five Wolves starters made the top 100. What’s perhaps a little interesting is the difference in spots for each player. Forward Taj Gibson jumped 12 spots from No. 95 to No. 83; Jeff Teague (58 to 55) and Jimmy Butler (11 to 10) stayed relatively flat, though Butler jumping into the top 10 is notable. The two youngest Wolves starters, though? They regressed in the rankings. Andrew Wiggins fell from No. 50 a year ago to No. 74 in the current rankings. He’s praised for his durability, but not much else. “Taken together, these burgeoning concerns beg the question: Is Wiggins, the Ironman, also a Tin Man?” the section on Wiggins concludes. Some of the fall in ranking is natural as sky-high expectations and potential for both players — former No. 1 overall picks — is replaced by actual performance and growing pains. But it’s also not a great sign that at least by one measure both are less highly regarded than they were just a year ago. *Buoyed by a strong Week 1 performance in Washington, former Vikings running back Adrian Peterson is back to pursuing his dream of catching Emmitt Smith as the NFL’s all-time leading rusher. He’s about 6,000 yards short, so he’ll need about 60 more games like the one he had Sunday.